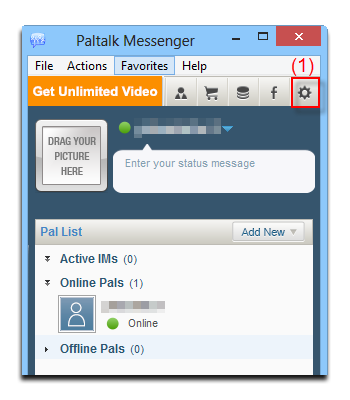 Paltalk Messenger allows you to see, hear, share files, and chat with anyone, anywhere in the world--all for free. Paltalk operates with AIM, Yahoo, and ICQ. You can share photos, files, and messages instantly with any Paltalk user. 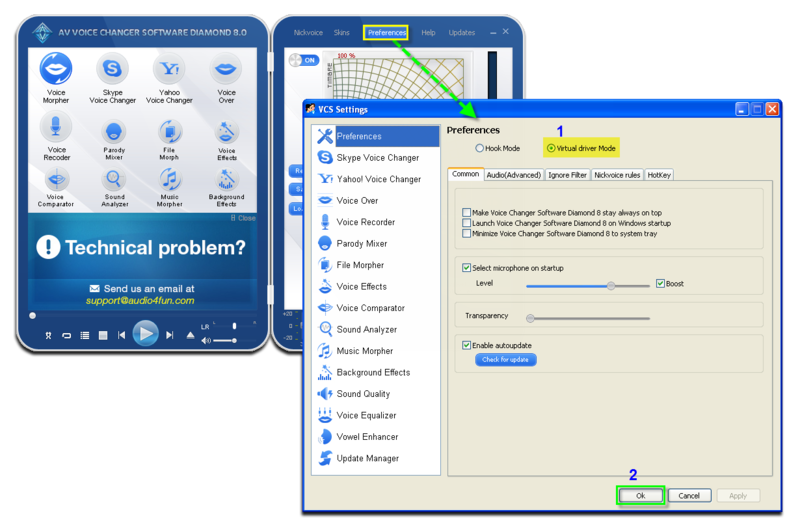 In this tutorial, we demonstrate how to use Voice Changer Software Diamond 8.0 (VCSD 8.0) for changing your voice in Paltalk application. Run Paltalk >> Login to your account. Click Settings (1) button at top-right corner to open Settings and Preferences window. 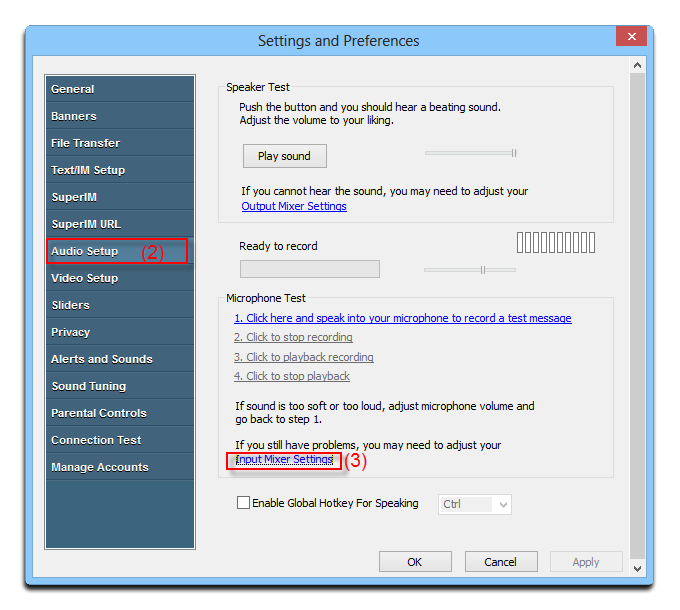 Choose Audio Setup (2) and click on Input Mixer Settings (3) to open Sound setup window. 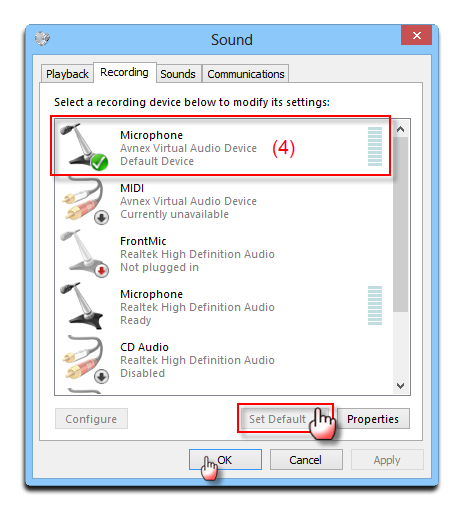 On Sound settings dialog box, Choose Microphone: Avnex Virtual Audio Device (4) and set it as default. Click Ok to close Sound settings dialog box. Return to the Settings and Preferences window, click Ok button to close and apply the settings. From now on, VCS Virtual Audio Driver will be the main audio driver recognized by PalTalk. Go back to Paltalk and start voice call. The morphed voice is applied, and your voice now being changed. Note: As long as the AV Virtual Audio Device works as major driver for your microphone, you have a very powerful Paltalk voice changer ready for use.